Torsades de pointes (TdP) is a specific form of polymorphic ventricular tachycardia occurring in the context of QT prolongation. TdP is often short lived and self terminating, however can be associated with hemodynamic instability and collapse. TdP may also degenerate into ventricular fibrillation (VF). QT prolongation may occur secondary to multiple drug effects, electrolyte abnormalities and medical conditions; these may combine to produce TdP, e.g. 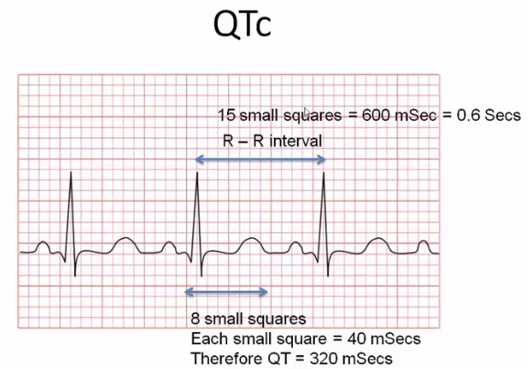 hypokalaemia may precipitate TdP in a patient with congenital long QT syndrome.